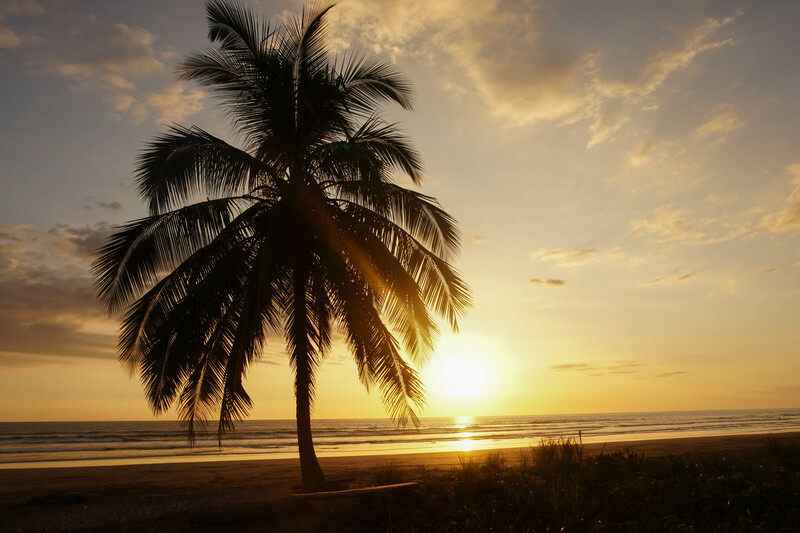 Costa Rica translates to “the rich coast”, a fitting name for the small country with its tropical rainforest, high silky waterfalls, large volcanos and friendly people. This tropical paradise is situated in the heart of Central America with long black and white beaches on both the Pacific and the Caribbean side of the country. Costa Rica also has an exotic wildlife and is specially known for the colorful butterflies, frogs and birds. You are also almost guarantied to see large red parrots, monkeys and sloths. 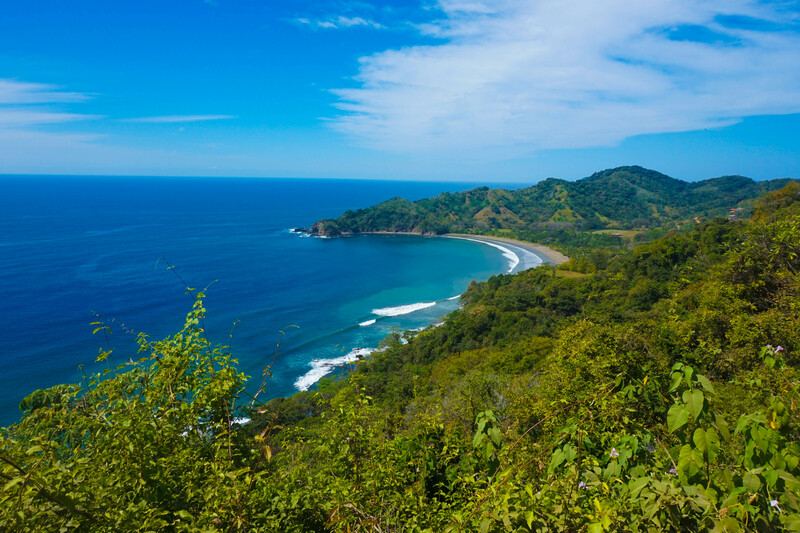 Costa Rica is a great place for adventures tourists. Canopy tours, zip-lining tours, rafting, kayaking, scuba diving, surfing, horse back riding and mountain biking are just a few examples of the many activities offered to thrill-seeking tourists. Its also one of the safest countries in Central-America and is a great destinations for first time travelers to Latin America and for families. Puntarenas – a world-class surf destination. Playa Jaco, Santa Teresa/ Mal-Pais and Dominical are great surf beaches. The beach towns are however crowded with tourists but in return it has a great nightlife. In Puntarenas you may also find Manual Antonio National Park, a beautiful park with long white unspoiled beaches and an amazing wildlife. In Puntarenas you may also find Monte Verde Cloud Forest that offers many of the most adventures activities like hanging bridge tours, canopy tours, zip-lining, canyoing and more. Limón – The Caribbean cost of Costa Rica is culturally very different from the rest of the country. 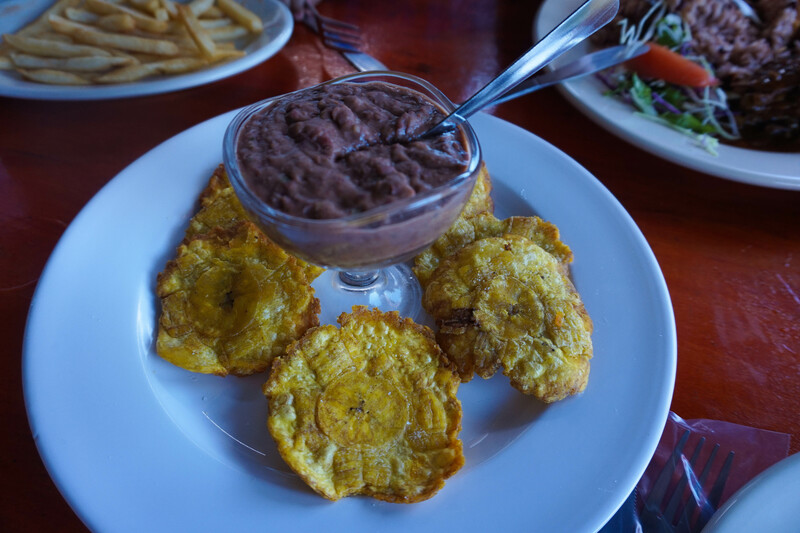 This region is the most cultural diverse and gets its vibes mainly from other Caribbean countries both in terms of language and food. Visit Playa Puerto Viejo, Playa Manzanillo and Playa Cocles. 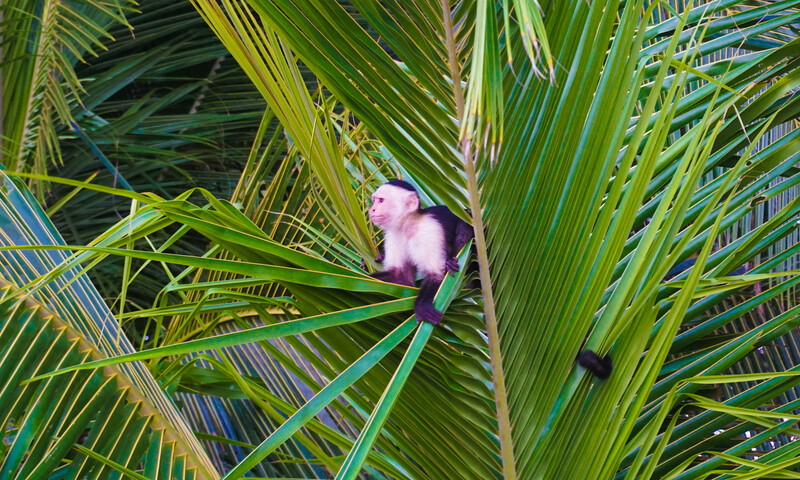 Do not miss out on the beautiful Cahuita National Park and Tortuguero National Park. Volcán Arenal – One of the most well known destinations in Costa Rica and with good reasons. You may not see the top of the volcano during your stay because of the humidity and the clouds but this place has a lot to offer adventures tourists. It also hosts the lots of great hot springs. San José –Many tourist guides do not recommend you to go to San José. However, if you do have few days in San Jose you should visit the Gold Museum (Museo del oro Precolombino) and the Costa Rican Art Museum (Museum of Costa Rican). There are also several opportunities for excursions from San José to volcano Poás, La Paz waterfall garden and Doka Estate (coffee plantation). Accommodation in Costa Rica is pricey especially in the high season. Hostel prices (shared room) range from 5000 CRC to 15000 CRC (9 – 27 USD). A private room at a hostel or a budget hotel cast around 10 000 CRC to 35 000 CRC (18 – 63 USD). The hostels and cheaper hotels do look at you twice before giving you a price so don’t be shy to ask for a discount or to bargain. The price of upscale hotels and resorts range from 125 000 to 250 000 (225 – 450 USD). Bus – local buses run almost everywhere. They do not always run on time and do not always have air conditioner, but if you are flexible it is a cheap and accessible way of traveling. Taxi – red taxis with yellow triangle are the official taxies. Make sure they use the meter or negotiate a price before entering the taxi. Shuttle – private shuttles take you between the larger tourist attractions. The shuttles are the most comfortable mean of transportation. You may find shuttle agencies in all the larger cities and tourist destinations. 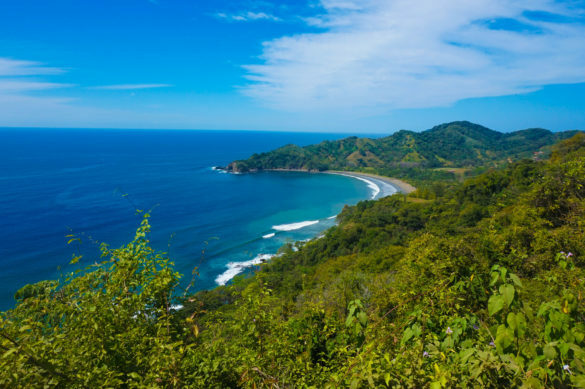 When to go – December to May is the dry season in Costa Rica and definitely the best months to visit. Costs – Costa Rica is expensive compared to other countries in Central America. Most tourist attractions have two cover charges; one for foreigners and one for locals. Although it may be a bummer to have to pay double or triple the value of locals, it is actually quite fair. Rather than perceiving it as you being exploited, think of it as a discount locals receive to enjoy their own country. Haggling is not common, but don’t be afraid to ask nicely for a discount. Tipping – All restaurant bills add an automatic service tax, and there is no need to give additional tips. Tour guides are accustomed to receiving tips and therefore expect it. Food – Fruit will not taste better anywhere else in the world. Almost all restaurants will offer juices (naturales) in a veracity of seasonal fruits. Try them all! Other than that Gallo pinto (rice and beans) is mandatory for breakfast. Also try arroz con pollo (rice and chicken), ceviche and all the different types of casado. Last but not least drink a lot of fine Costa Rican coffee. 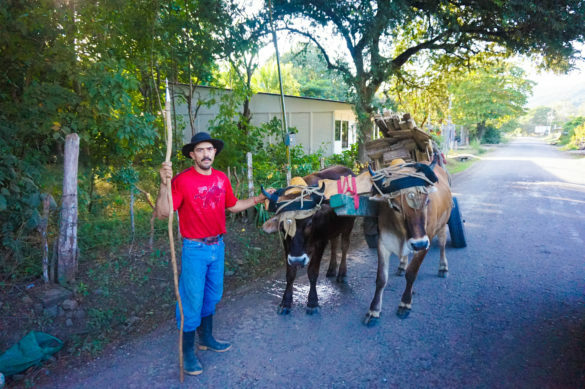 Culture – Los ticos o ticas as the local people call themselves are very friendly, peaceful and genuinely happy people. They will find any excuse to talk to you and it is almost impossible not to make friends while traveling this country. The national slogan “Pura Vida” (pure life) and encourages you to slow down and celebrate what life has to offer. Ticos have a very relaxed idea of time. Don’t be surprised if they show up an hour or two late. Foreigners know this as tico-time. Language– Spanish is the official language. Most people working in the tourist industry will speak English. Currency – The official currency is the Costa Rican Colón (CRC). 1 USD is approximately 550 CRC.